"Make your smartphone a 360-degree VR camera." With this slogan, the Indiegogo project attracted investors. And the idea came: the original funding target of 20,000 US dollars exceeded the project by more than 200,000 US dollars. But what can Insta360 Air? In the small ball are two cameras that record videos in 3K resolution and with 30 fps. Your two wide-angle lenses capture the surroundings at the 210-degree angle of view. 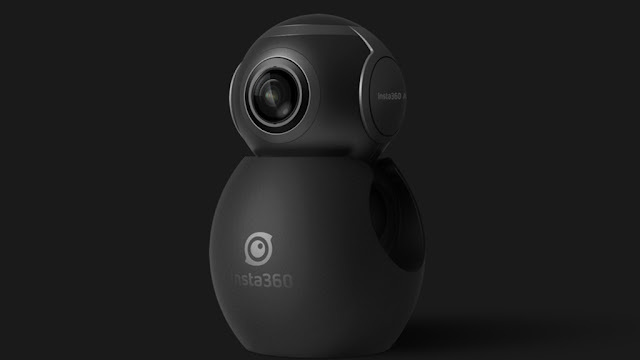 Photos shoots the Insta360 Air in a resolution of 3008x1504 pixels. The Android app app converts both recordings into 360-degree and VR-videos. For recording, simply plug the Insta360 into your Android smartphone and connect it to your phone via micro-USB. And you can start filming - via YouTube even live streams are possible. From March, the Insta360 Air will be available in several colors. The price is about 180 euros.